At the moment all the main terminals allow you to pay them via housing and communal services and electricity. This will save you from tedious queues at the Bank, since the terminal a lot and you can make a payment in any convenient for you time. In order to make a payment, you need to select the desired option on the terminal screen. First, select the item "utility services" or "Utilities" (depends on terminal type), then choose your energy company. For Moscow "Mosenergosbyt" in other parts of your company. If you are not sure what company serves your home, don't worry – its name should be written on the receipt. Next you need to enter the account number. It is written on the receipt. Be careful not to be mistaken, because the room is long. It is best then to recheck it again to not "give" their money to another person. Then you enter the code RR – it is in the upper right corner of the receipt, which consists of three digits. After you have entered the account number and sort code RR and clicked "next" on the screen will appear to select payment amount. In this window, enter either the digit indicated on the receipt, or calculated by you based on the counter sum. Remember that, unlike the teller in the savings Bank, the machine does not accept coins and does not give change, so the amount must be a multiple of ten rubles. Then, if you are sure that everything is correct, click "next". Now the screen should appear a window "payment amount". All the money made will be displayed in it, including the fee, if any. 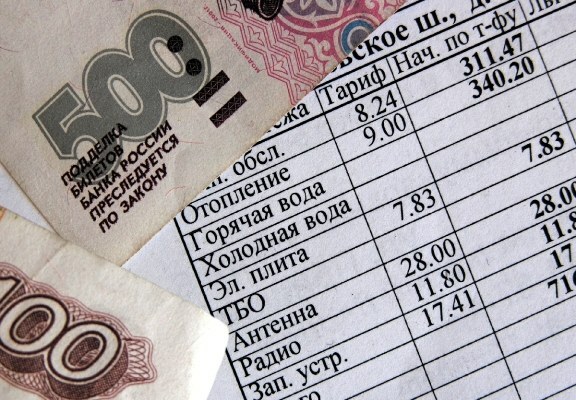 In payment terminals of the savings Bank, signature terminal power supply companies, as well as in terminals Qiwi and CyberPlat, the Commission is absent, in others it is indicated at the bottom of the "payment amount". If the Commission is too big and doesn't suit you then you will learn it before making money and will be able to cancel the operation. 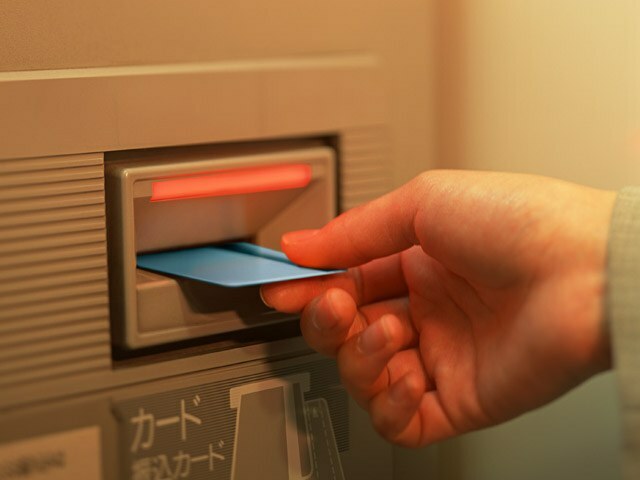 If everything is in order, pay bills with bill acceptor, until the figure equal to the previously entered in the selection window, the amount of payment. Then click "pay" and wait for the cheque. Remember that the deadline of payment through the terminal can be up to three days, so when urgent repayment should call the power company and report the payment amount and transaction number indicated on the receipt. Keep the receipt together with the receipt as well as the usual receipt from the savings Bank. 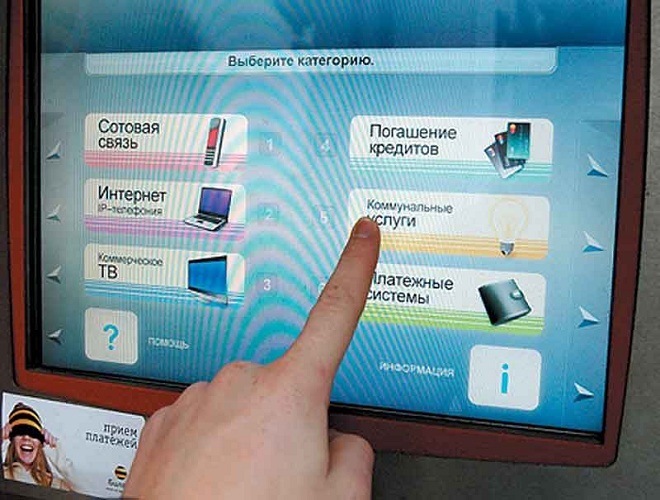 Not so long ago, Russia began to move to the payment of electricity through ATMs. This operation is not difficult, but, despite this, taxpayers often have questions about the sequence of operations. In order to pay the bill for electricity, you must obtain a receipt for payment, or to know your account number and the amount of debt (the latter is optional). If payment will be made via credit?? cards for first, insert the plastic card into the ATM, then dial the pin code and select the corresponding operation. Payment for electricity is usually located in the section utilities. Next, to choose a energy saving company that services your home. Next, you need to bring the receipt to the beam reads the barcode with a receipt (if the ATM is equipped with this feature), if this not an option, then dial the account number in the appropriate field. The account number is also reflected on the receipts. Next on the ATM screen to appear is the amount of debt for payment, you can accept it or choose a different amount. After click "pay". Next, you need to wait for payment receipt. If the payment is made with credit card, then you should receive two receipts, one after another. The first check indicates the transfer of funds from the card account, the second payment services. If payment will be made in cash crestlinehotels to select the operation for electricity, choose energy saving company, to enter the account number or use the barcode beam. Next, either accept the amount or you can key in a new amount to pay. Then click the "pay" button and enter the ATM banknotes. Then wait for the cheque payment services.Difference in pay credit card bills lies mainly in the fact that "live" money can't make whole amount "to the penny", the ATM does not surrender, a credit card, you can make sure that the amount shown on the receipt. If payment will be made using banknotes, try to take care of, so that you have the correct amount, because ATM date does not, and the operation to exchange money in the banks pay. Always take the receipts issued by the ATM. Firstly, for safety reasons, a second check is confirmation of your payment, and it must be stored for 3 years. Better to pin them to the receipt. Timely payment of utility bills, such as electricity will help you to avoid many problems. For example, if the late payment penalty is charged, not very big in itself, but significant when a significant delay. But many people with busy work schedule can cause problems with payment simply because of lack of time. For this service the city of Moscow responsible for the provision of public services, organized a variety of payment methods depending on the needs of the people. - a plastic Bank card or cash. Find out how much you need to pay. To do this, clear readings from the meter installed in your apartment. In this previous testimony to optionally save, they are saved in the computer system of Mosenergosbyt. Come to one of the Bank branches listed on the website of Mosenergosbyt. Pre-download on the same website, a receipt for payment. Please note that the Commission may differ depending on the Bank, so it needs to be clarified in advance. If your house is closer to the post office, you can pay for the electricity there. If you have a Bank card, pay electricity, without leaving home. To do this, go to "How to pay" on the website of Mosenergosbyt, find the heading "payment Methods "electricity" and select "credit card on our website. 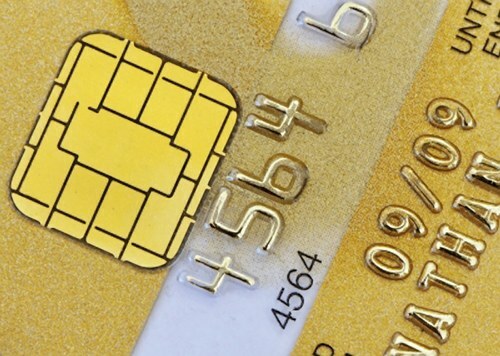 Then click on the map image, select the payment system you want to use and enter the surname, name and patronymic of whom was the contract for the provision of public services, the account number, meter readings, card number, holder's name, expiration date and CV2 code located on the back side of the card. Check all information and click on "Confirm". If you are afraid or don't want to pay over the Internet, you can use the phone. For this call the call center of Mosenergosbyt one of these rooms: 8-800-555-0-555, 8-495-981-981-9. Also for your convenience, you can set up an automatic transfer of a certain amount in your account in Mosenergosbyt. For this you need to specify your Bank account information, for example, to which the employer transfers your salary. If you do not know the number of your personal account, sign up on the website of Mosenergosbyt. Then you will have access to this room. It seems that the queues in points of reception of payments for services of housing and communal services gradually remain in the past. Today the owners of plastic Bank cards have the opportunity to pay for utility services through the ATMat any convenient time for them. Residents of large cities have already appreciated the convenience of this service, allowing you to save time. Eventually such a possibility and residents of small settlements, where many utilities enter into contracts with banks to receive monthly utility bills from the population. Find out the Bank that has issued your credit card, the conditions of admission of payment of utility bills via ATM. Many banks will accept such payments without a fee. If it in any Bank there, the percentage is quite insignificant, less than 1%. If this is not critical, choose to pay the ATM of any Bank, which is located nearby and which accepts utility payments. Proceed in the standard way: insert the card and enter your pin. In ATMs of any Bank the sequence of actions will be the same. After clicking "Next" you will see on the main screen. Choose the item "Payment for services" and go to the next page. Press the key next to "Utilities" in the window "bill Number" enter the code of the payer of the single payment document. Then in the new window, re-enter the code in the "payer ID" field the "Payment period" - month payment in the "payment Amount" - the amount specified in the receipt. Confirm that you entered the correct information and click "Pay". If you pay some receipts, click "Yes" to the question "Want to run another query?". In that case, if you refuse, don't forget to wait and get a receipt – a document confirming operation. 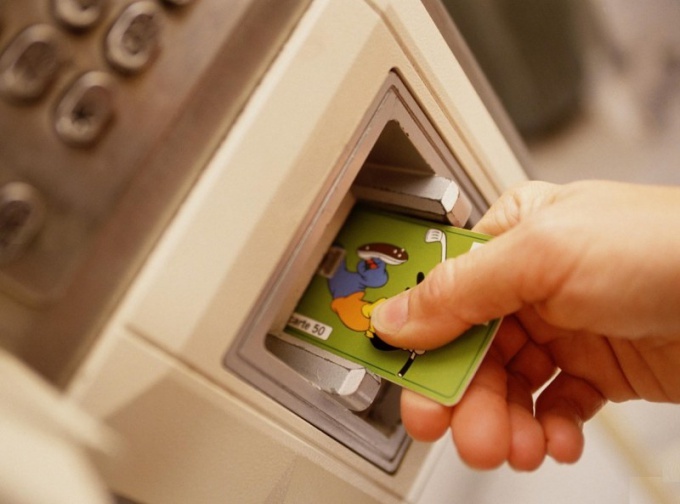 In ATMs of different banks, the number of organizations receiving fees for utilities, can vary. But the trend is that this list is constantly expanding and soon to pay utility bills completely at the ATM of any Bank. In that case, if paper for printing receipts is over, the document may not be printed. Please contact the office of your Bank and get a Bank statement that confirms the transfer of money from your account to the company account bills. This procedure is free. Energy expenditure to be accounted and paid according to the statutory law of the Russian Federation tariffs. Therefore, each apartment or house has electricity, focusing on the testimony of which the tenants pay for the electricity consumed. If your apartment has installed a new electric meter, then his testimony must be represented by zeros. As you use various appliances, the readings of this meter will increase. After months (or such other period specified in your agreement with "Gorenergo"), you must calculate for the consumed electricity. Look at the display counter. Usually it is represented by several panels, each of which has a place for any digit from 0 to 9. Pay attention only to those indicators that come before the comma. Typically, this is 5 digits (depending on the model of the counter). 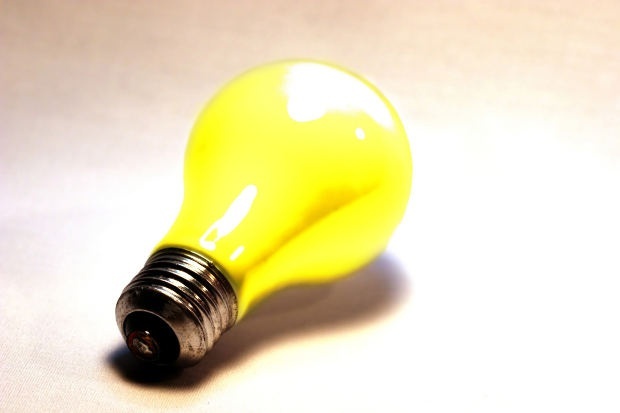 Write down the amount you consumed kilowatts and multiply by the cost per kilowatt/hour. As a result, we obtain the amount you need to pay. But that's the case, if you shoot first to read the meter. During the second and subsequent payments at the counter, first calculate the difference between nagacevski and paid for kilowatt/hours. To do this, subtract from the received indicators the latest figures for the previous period payment , and then multiply the resulting difference by the cost of 1 kilowatt/hour (according to the rate). 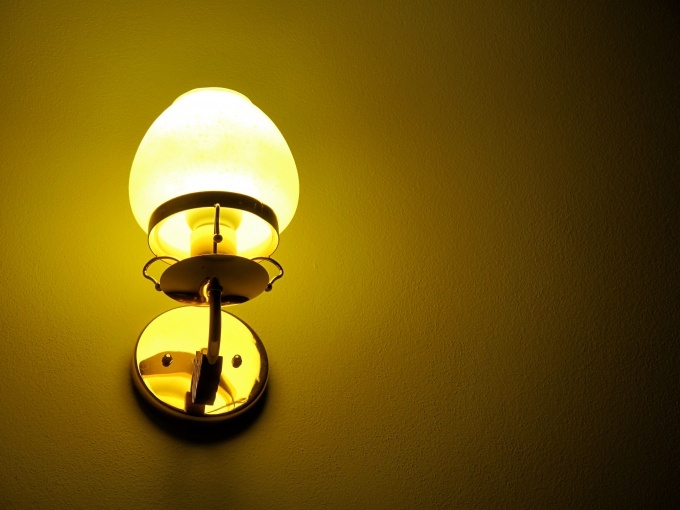 If you are paying more for electricityconsumed in the common areas (entrances, corridors and kitchen in a communal apartment) for the same for all tenants the counter, zagorevskii kilowatt/hours in the reporting period, share equally to all tenants, or some other arrangement reside in the premises. To pay for electricity , please fill in the receipt in the box office of your Department Gorenergo, in the offices of Sberbank of Russia, into a single settlement-cash centre (ERKTS), through the terminals and ATMs, post offices. Try not to disturb the established terms of payment, otherwise, under the law, you will be subject to a fine for each day of delay. Payment of services of housing and communal services through an ATM involves the use of a credit card. If you don't have one, use any terminal through which you can make transactions with cash. Menu and title transactions at ATMs of different banks may differ, but the procedure is almost always the same. Insert the card into the self-service machine and enter your PIN. Click the "Forward" or "Next". Select the menu "bill Payment" or "Payments". When you unfold the list of available payment services, click in the paragraph "Utilities". The window refreshes, the input box with the receipt number. It is necessary to rewrite the document you came from the field "Code". Confirm your action click Next. Fill in three fields: "payer ID", "Payment period" and "Amount/payment option". In the first box you need to re-enter data from the field "Code" in the receipt - in the second field the digits to enter the sequence number of month, third – the amount that is specified in the receipt for payment. Check the correctness of filling in each field and click "Pay". Take card and receipt confirming the payment for housing services through the ATM. In some cases, in the ATM menu may contain additional fields to fill in. So there is another option: after selecting "Utilities" device self-service displays a list for selecting the recipient of the payment. Click on the "payment on a single payment document". Then indicate, using the appropriate buttons, whether included in the payment for voluntary insurance. And only after this you will proceed to enter the remaining data (payer code, period and payment amount). If you have access to a personal account at the Bank to make the payment in favor of the utilities you'll be able, sitting at a computer. The fields are the same. The only difference is that you don't have to find an ATM and insert the card in it. Also you do not get a check, but the information about the completed payment will remain in the history of card transactions in your account, you will be able to print a copy of the payment order. To pay for utilities, including electricity, can through the ATMs of several credit organizations. For this we need to insert into the device plastic card and enter the account number in their energy company. A payment confirmation will serve as receipt issued by the ATM. the account balance is sufficient to cover the required amount. Select the language of communication, if the ATM prompted. Most often you must choose between Russian and English, in some cases, may be provided and other European languages - German or French. It is optimal to choose Russian, even if you know of any more of the available languages. Enter the PIN code, then press the enter key or the other in accordance with the instructions on the ATM screen. In the list of available operations, select the payment service or other closely related variant. Select the menu utilities and then electricity. In some machines, the cost of electricity may be available in the first menu. If the ATM offers a list of several vendors or agents to receive payments, select your. Enter the account number or other identifier. It needs to be indicated on the payment documents (invoice or net receipts, which you must fill out independently on the basis of meter readings) obtained from the electricity supplier or agent. Check the entered data, if needed, make corrections, then give the command for payment. Take and keep the receipt that you will be given an ATM upon completion of the operation. In cases of dispute it will serve as proof that you made the payment and its amount.